We are here to serve our much appreciated customers. From sunrise to sunset and on occasion after hours we always strive to be the best in the industry. Our mission is to simplify the HVAC and Plumbing industry so that our customers will understand how their system operates. We emphasize education to all of our staff from office personnel to field technicians. This way our customers will receive the necessary information prior to to the technician showing up. Take Advantage of Our Fall Deals! Comfort Doctor is here to take care of all your Heating & Cooling needs! We can keep you comfortable all winter long. Comfort Doctor is here to take care of all your Cooling needs! Our expert techs can keep you cool all summer, no matter how hot! Don't trust your plumbing to just anyone, the experts at Comfort Doctor will fix your plumbing issue the first time. Emergency service is also available 24 hours a day, 7 days a week. 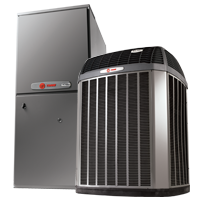 Why wait until your furnace or air conditioner is on it's last leg? Take part in our Preventative Maintenance Plan so you know it's ready and running efficiently before you need it. Get seasonal routine inspection, and qualify for discounts on some products and services! The experts at Comfort Doctor are here to help you with any Heating, Cooling or Plumbing issue you may have. Enjoy cleaner, healthier air for your home or business.